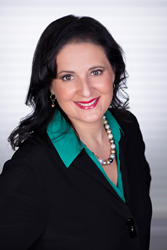 Furia Rubel Communications, Inc. President and CEO, Gina Rubel, will present Law Firm Differentiation to Stand Out and Grow for the International Society of Primerus Law Firms members on May 31. Rubel founded Furia Rubel Marketing and Public Relations, an award-winning strategic planning and integrated marketing agency, in 2002. A strategic marketing and public relations expert, social media enthusiast, attorney and author, Rubel teaches audiences nationwide how to implement ethical, integrated and measurable communication strategies that help their organizations to meet their business objectives. Rubel is a graduate of Drexel University and Widener University Delaware Law School. You can follow her on Twitter at @ginarubel or connect with her on LinkedIn at http://www.linkedin.com/in/ginafuriarubel. About Furia Rubel Marketing and Public Relations: Furia Rubel Marketing and Public Relations is an integrated and strategic marketing and public relations agency based in Bucks County, Pa. The certified woman-owned agency provides strategic planning, marketing, public relations, media relations, graphic design, website design, content marketing, blog production and social media services to a wide array of professional clients. Furia Rubel represents law firms, technology companies, educational organizations, accounting firms, nonprofits, municipalities, and manufacturing, behavioral health and elder care organizations. For more information, visit http://www.furiarubel.com. About Primerus: Primerus is a society of the world’s finest independent, boutique law firms. With nearly 200-member firms in more than 40 countries, Primerus provides clients easy access to the right lawyer, with the right skills, in the right location, and at the right cost. Primerus seeks out, accepts and retains only the best firms for membership. Each firm is screened to ensure its commitment to excellence as embodied in the Six Pillars: Integrity, Excellent Work Product, Reasonable Fees, Continuing Legal Education, Civility and Community Service. For more information, visit http://www.primerus.com.